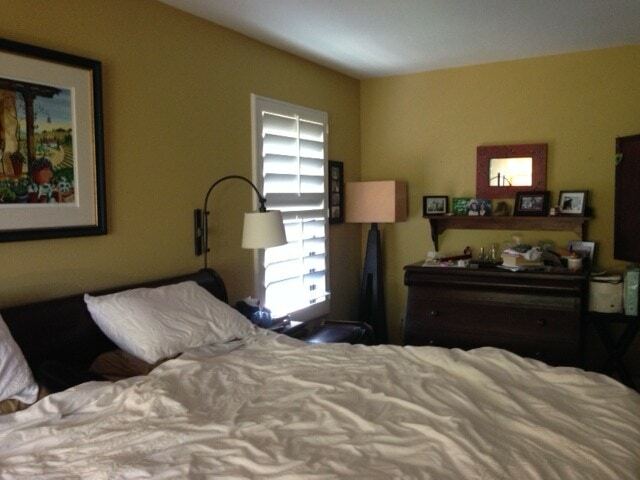 Even in its “BEFORE state before joining my 30-Day June Room Challenge, Holly’s master bedroom was in great condition! But there’s no denying that she turned this room WAY up on “wow” factor at the end of the challenge! 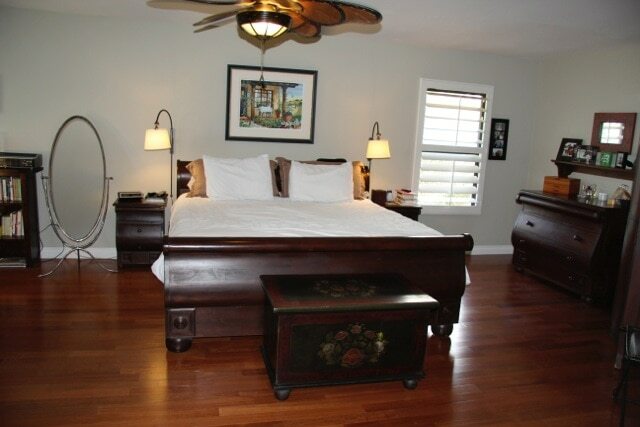 “I chose to transform my master bedroom because it had been neglected for a long time. Like many things in a mom’s life, the kids’ needs came first and their room had many upgrades that mine did not. However, my room had become a little overwhelming. I added photos and other treasures to it all the time, but never really removed things. It was becoming cluttered. 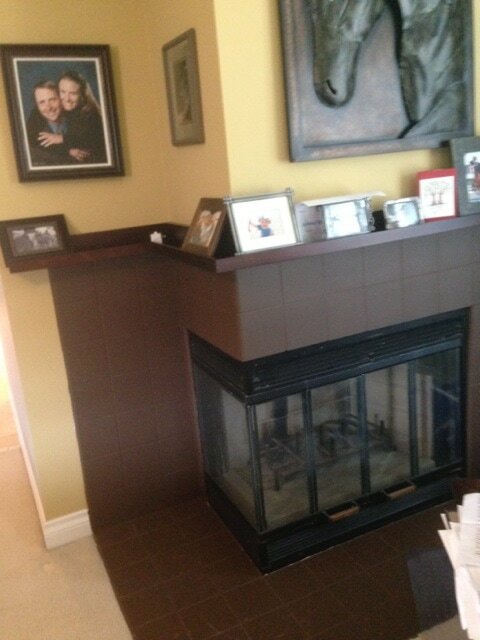 The DIY painting I had done on the fireplace was peeling off, leaving a spotty mess of old brown and older orange. My DIY mantle just collected more clutter. The walls were too bold for my current taste. It wasn’t a room where I felt relaxed or at peace. 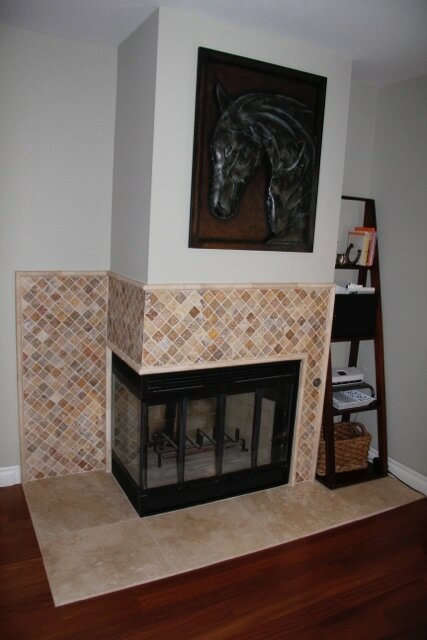 The word “oasis” did not apply.”~HollyI wanted to change the fireplace, the flooring, the paint color, organize and quiet my work space (which is in the bedroom), and remove some furnishings and photos and art – all of which I loved – because the huge space was feeling small and untidy. I wanted to create a space of sanctuary for me and my husband. 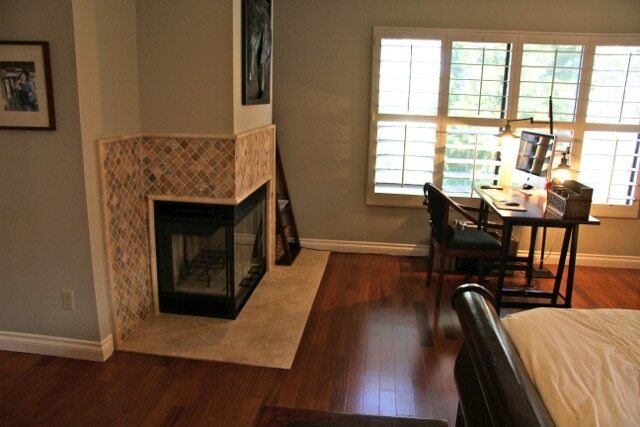 How cool is that to have a FIREPLACE in your master bedroom?! COZY…..Love it! I’m loving her workplace area!!! With a nice warm fire behind you in the winter….mmmm….. 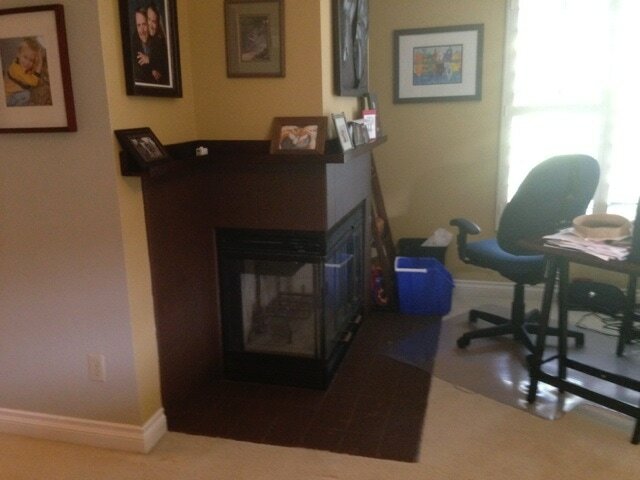 The fireplace is gorgeous! “I really enjoyed the encouragement from the other members and from you. It was very inspiring. It was fun to post progress on Facebook and kept me motivated. It helped make the work fun. I love the floors and how clean and minimal things are! The color is soothing, too! JEALOUS, Holly….just sayin’….. She did a wonderful job!!! 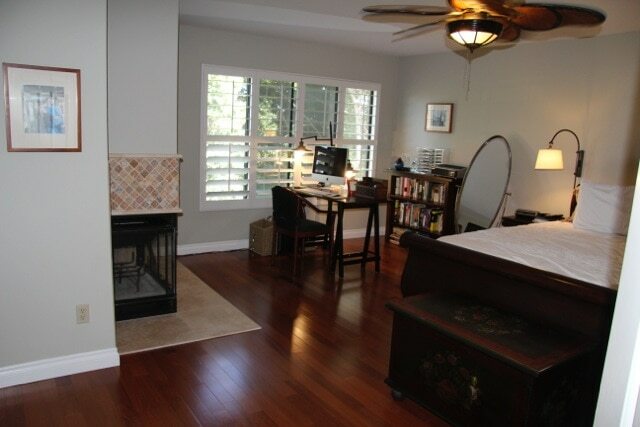 Want to make over a room in your house, too? Even just to declutter it and enjoy the shred of the paper, like Holly did? 😉 JOIN IN!